The Witcher III: Wild Hunt is the highly anticipated conclusion to The Witcher trilogy. CD Projekt RED had the major accomplishment of releasing this blockbuster on May 19th for PC, PS4, and Xbox One. 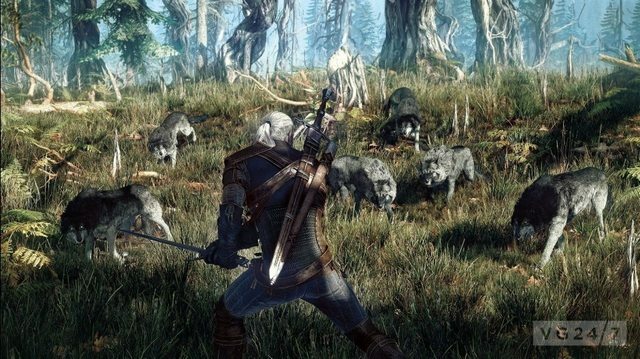 It yet again, like it's predecessors, is a massive RPG featuring Geralt of Rivia as the protagonist. I'd recommend it to people who really enjoy RPGs and really get into them. I'd also recommend it to fans of Game of Thrones, as this is a VERY mature RPG. In every sense really, it is very realistic and immersive, it does not hold back in terms of violence, language, or sexual content at all. Just like Game of Thrones as well, it tells a very epic story. It's long and immense and as immersive as possible. Nearly every decision you make in this game will affect you and your story later on. As mentioned above, CD Projekt RED did an excellent job in terms of story-telling with The Witcher III. It really hooks you in. You can start playing and before you realize it you've been playing for hours. I'm playing on PC (not sure if other platforms have this feature) and you can alter the HUD to your liking. You can remove any pieces you want, which can only lead to more immersion and realism. YOU really get to play Geralt of Rivia, there are so many different decisions that affect the quest's outcome. You get to choose how it goes lots of times, you take the story where you want it. Like one of those "Build Your Own Adventure Books". It's really a very interesting story too. I've played over 10 hours by now and there is such and overwhelming amount of freedom. There's so many places to discover, treasures to find, people to meet, and best of all... beasts to kill. When it comes to graphics, I think The Witcher III is one of the most beautiful games I've played. If possible I recommend playing on a good PC, I'm far from a #pcmasterrace kinda guy, but I wanted to get the most out of this game, and it delivers. It is pretty demanding though. But if your build can support it, it looks really, really good. While writing this I decided to play it for a bit and take a few screenshots to have a good idea of how it looks. I have most settings maxed except for foliage distance and background characters. I also have Hairworks off, it impacts your performance so much. I love how dynamic the weather is , it feels alive. I'm looking forward to what the modding community has in store for this game, if it's anything like Skyrim the graphics would be phenomenal. Overall I think The Witcher III may be one of the greatest games ever made. Most certainly one of the best RPGs. It's an immense, beautiful game that takes you on an epic journey that will have you really invested in it. If you're an RPG fan I think it is a must play. I highly recommend it. With an easy 200hrs of gameplay I really believe it is worth the normal $60 price tag. Night, God and Master like this.